When my little sister was married nearly 8 years ago, she decided to go with a colorful and casual wedding involving Gerbera daisies and flip-flops. Sounded like a great idea. 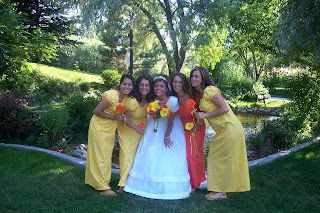 Then, I found out the bridesmaid dresses were to match the flowers: yellow and orange. I'm sure by now you know that most people look great in yellow and in orange. Hmph. Despite what any blissfully naive bride tells you, you will not get to wear your bridesmaid dress again and again. It will go with nothing, if it even "went" in the first place. Depending on the style of dress, come October, dress up as a princess or Cruella Deville or a fairy or Jackie O. Bonus: Halloween costume! Cut the top part off. Bam! New skirt! Pair up with kicky boots and a fitted denim top. Cut the bottom part off. Bonus: new top! Wear with jeans and under a blazer or bolero. Donate it to the Princess Project or Donate My Dress . Bonus: Tax write-off! Stretch a large piece of the skirt and paint a masterpiece with fabric paint. Then, frame it. Bonus: one-of-a-kind art! If you're more inclined, make a table runner, a tablecover for an accent table, a sash, a Christmas tree skirt, a purse, pillow covers, or a little girl's dress. 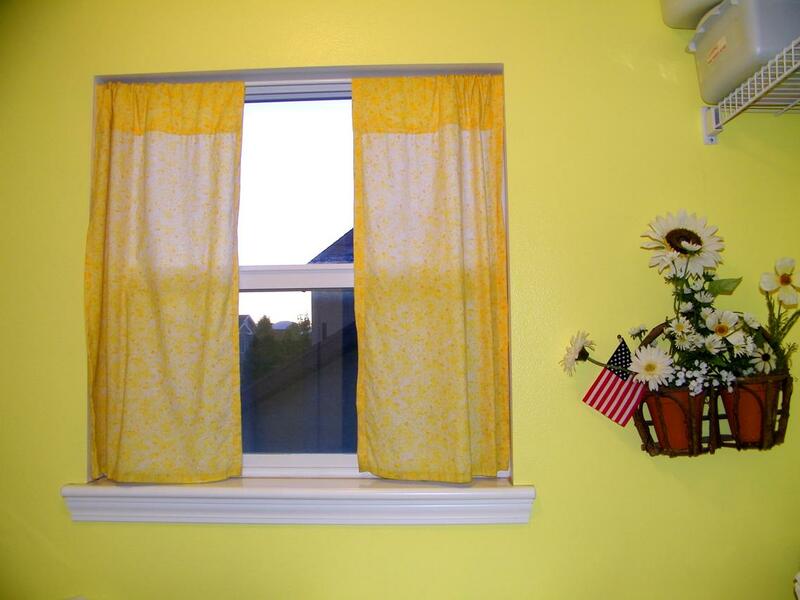 Bonus: Curtains for the new laundry room!